WELCOME TO THE 40/40 CLUB, LATESHIA CAMPBELL! 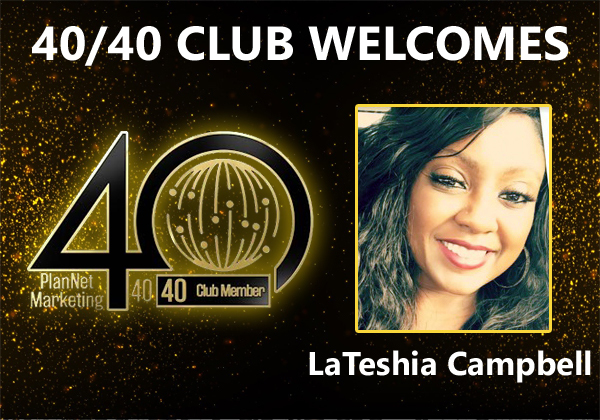 PlanNet Marketing is pleased to welcome LaTeshia Campbell to the prestigious 40/40 Club. LaTeshia was featured in PlanNetNow! just last September for achieving 20/20 Club status! Click here to read her 20/20 Club feature. PlanNet Marketing is proud of LaTeshia’s 40/40 Club achievement in just a few short months!